Background Video Recorder is a camera app which helps you record video in the background with the option to enable/disable camera shutter sounds and camera previews. Useful functions include continuous recording when your screen is off scheduled recording an easy to use one-click Video Recorder shortcut/widget & support for multiple languages. Q: Why does recording stop when a video file size reached 4GB (about 30 minutes)? 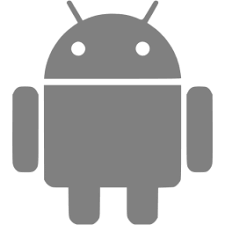 A: The default Android system will stop a recording when a file size reached 4GB or duration is 30 minutes. You can enable "Limit time and Repeat recording" feature to try. You should set max time is 30 minutes or shorter(the best choice is the duration of video on your device when video file reached 4GB) to avoid crash file. Or if you are saving file on SD Card you should format SD Card is exFAT instead of FAT so the app can record video long time (more 30 minutes). Background Video Recorder is a free app. Simply install set it up and enjoy!. If you like the app please rate it 5 stars ★★★★★ & give it a smashing review. I would highly appreciate it!